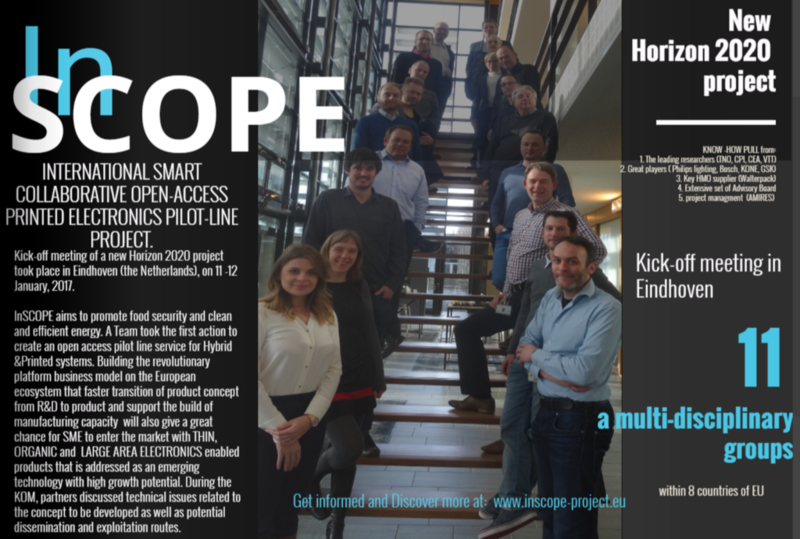 The kick-off meeting of a new Horizon 2020 project took place in Eindhoven (the Netherlands) in January 2017. A team took the first action to create an open access pilot line service for hybrid printed electronics. During the KOM, partners discussed technical issues related to the concept to be developed.